Email marketing is not an easy feat. First, you spend hours and hours to acquire your potential customers’ emails from Google and various other platforms including AngelList, Crunchbase and more. However, notwithstanding the difficulty, you can not simply do away with email marketing as when it comes to returns, it is more benefiting than any other form of marketing. But all your efforts turn out to be for nothing when you are inflicted by email bounce rate. Email marketing bounce rate is basically a metric that calculates the number of emails returned to sender. Hard email bounce rate is enough to undermine all your efforts. What is even scarier is the fact that a hard email bounce rate might end up resulting in your email sending account being suspended or closed. Today we will discuss how to stop or altogether reduce email bounce rate. But before diving into that let’s have a look at the reasons that lead to email bounce rate. The simplest way to avoid email bounce rate is by avoiding sending the emails to someone you have not taken permission from. For example, if someone has registered with you or subscribed to your newsletter, then it is a given that you have their permission to contact them by sending an email in the future. However, if your subscriber didn’t opt-in to be on your mailing list, the chances are that they will mark your email as spam, which might result in damaging your email reputation and after a while would simply result in increased email bounce rate. Generally, email bounce rate occurs because your email list is either stale or too cluttered to distinguish between relevant or irrelevant emails. Thus, it is imperative that you keep your list clean and updated by staying in touch with your subscribers. Also, make sure to provide an option to unsubscribe or update preferences. However, don’t just start cleaning your list after only your first email campaign. Otherwise, you will end up spending a lot of time and resources in restoring your email sender reputation. Instead, update or clean your email list every 6 months. Confused? We will discuss this in length in the next point. 3. Don’t Use Your First Campaign As A Way To ‘Clean’ Your List! If you constantly send emails to a poor email list, then your sender account is in a great danger or either being suspended or losing the reputation. However, this does not mean that you will start dismissing your email list after your first campaign only. For one, your email service provider (ESP) is not a list cleaner and if you use it as one, it might have some serious ramifications on your email marketing. Thus, you would be better off if you use professional list-verifying services or tools. Otherwise, you will end up damaging your reputation and your next campaign is likely to suffer a great deal, even more than the first one. One of the best and most dependable ways to reduce email bounce rate is by making sure beforehand that all the email addresses in your email list are valid. In fact, your email marketing efforts will fare best if you verify the email addresses before even adding them to the email list. If you don’t follow this step then you will end up being inflicted by hard email bounce rate. You can use these prominent email verifying tools to be sure of the validity of the email addresses. To avail their services you have to register with them first. Upon registering you will be able to verify first 100 email addresses for free. To use their email validation checker, you have to type an email address in the field provided in their software. Once you know whether the email is valid or invalid, you can take the required steps. ZeroBounce also offers the bulk email verification option. For example, if the email address turns out to be invalid, you can remove the invalid email address from your list using their unique scrubbing system to reduce email bounce rate. This, as a result, helps you to keep your email list clean and protects your emailing reputation and deliverability. AeroLeads is another prominent software that uses cloud-based technology to find professional email addresses of the prospects from Crunchbase and other social networking sites. It is available as a chrome extension as well as a web app. With aeroleads, the user can paste the email from their list and also export the valid and invalid result reports. And the best part is that you don’t have to tweak anything or go to any great lengths. All you have to do is to enter the email address that you need to verify. And ta-da, you will have the results. The tool will tell you whether the email address is valid or invalid. Apart from this, AeroLeads caters to your need of finding phone numbers, title, company, location, website and more. Moreover, it is easy to use and allows you to transfer the data to your CRM software or you can export it as a .csv file. Another feature that makes AeroLeads stand out is that they offer bulk email verification option and that too absolutely free. The company claims that their tool is proven to be 98% accurate across all major email domains such as AOL, Yahoo, Hotmail and Gmail. Like the aforementioned email verifying tools, Xverify also offers bulk email verifying options. Furthermore, you can also upload the .csv file in Xverify. Apart from verifying the email address, they further help in reducing email bounce rate using their built-in auto-correction that can easily notify the end users when they spell a domain incorrectly, such as Yahooo, when they likely intended for Yahoo. The more consistent your email sending schedule, the better chances you will have in doing away with email bounce rate. The main reason behind this is that if you are too late in sending an email, your subscriber might not even remember that they had consented to receive the emails. As a result, they might end up marketing you as a spam. Thus, to eliminate such chances and to avoid email bounce rate, make sure that your email marketing campaign is regular. You are sending your emails to your prospect so make sure that your content is written in accordance with your audience. Write something that your receiver wouldn’t mind reading. Include a compelling subject line, email content and pictures along with other visual content and make sure that the reader actually finds it interesting enough to read. And by this point, you probably know the repercussions if you do otherwise. If not, let me remind you. Firstly, it is highly likely that the receiver might mark your email as spam if they don’t find it readable or relevant to their cause or problem. Secondly, they might even start deleting your emails without even opening them which might result in a serious hit to your reputation. Both the cases can turn out to be disastrous in terms of email bounce rate. As obvious as it sounds, make sure that the content of your email doesn’t include spam-like words otherwise they might be automatically treated as spam by filters. Spam filters change their tactics over time so keep an eye on your email templates, content and links to avoid triggering spam filters. Your company is carrying out an email marketing campaign, but have you made sure that you are using a professional domain? If you are using free email domains like “@gmail.com”, the chances of your email being marked as spam by filters increases multifold. As a result, your email bounce rate also increases after your email marketing reputation gets soiled. Use your business domain name instead. Your emails will not pass the DMARC policy check for Yahoo, Gmail, and AOL if you are using a free send-from domain. 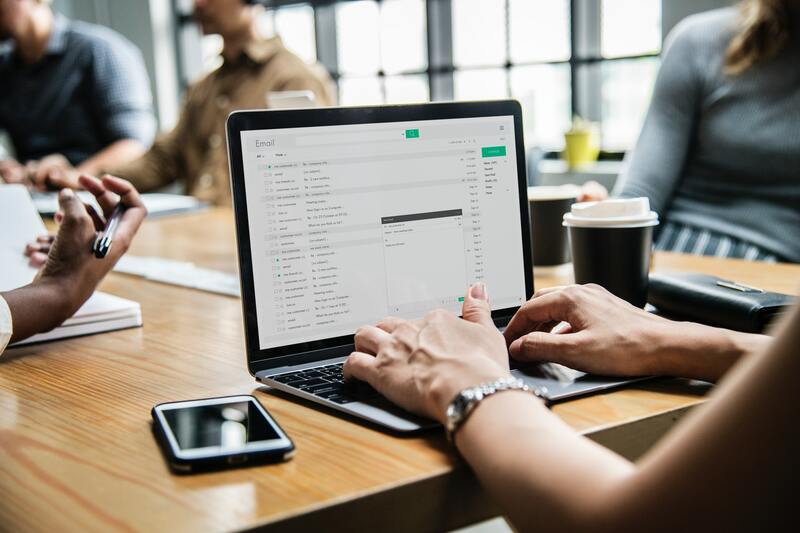 According to a Litmus study, one of the top sources for email marketing statistics, less than 40% of brands use three major methods of email authentication: SPF, DKIM, DMARC. Authenticating your domain is important for more than one reasons. For one, domain authentication will positively influence your deliverability rates and will automatically reduce your email bounce rate. Secondly, it will prevent sending security alerts to your subscribers. Every business strategy works out the best if you learn from your past failures. The same happens in the case of email marketing strategies. What might not work out today, may turn out to be helpful tomorrow. Thus, the best way to tackle this radical problem is by continuously experimenting with A/B testing. Try to keepa constant watch on your email bounce rate analytics and use various templates, send-from names and scripts. But most importantly, learn from any negative email campaign results. Follow the above steps and see a radical change in your email delivery. If you follow these 10 simple ways to reduce email bounce rate, I can guarantee that you will have a low email bounce rate.